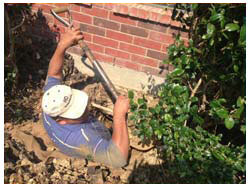 We’re Plano Foundation Repair Contractors That Offer Solid Solutions. For foundation repair in Plano, rely on expert contractors. Contact HD Foundations. We’re a company that services houses using an effective process. 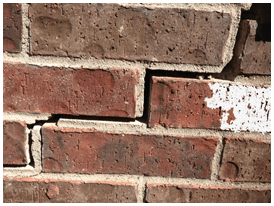 If you have foundation repair issues in the DFW area, we’ll solve them. Schedule a free estimate today. Why HD Foundations For Foundation Repair? Our company stops structural foundation damage. We service pier and beam structures as well as cracked concrete slabs. The foundation repair process we use on Plano structures works. We install pressed concrete foundation piers or steel piers. These interior/exterior piers are rugged, strong and solid. HD Foundations has a good reputation. We’re A+ rated by the Better Business Bureau. 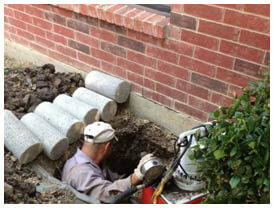 We’re Plano foundation repair contractors that perform residential, commercial service. Our company offers a lifetime foundation repair warranty. We prevent foundations from sinking, sloping and developing foundation cracks. Our procedures for making repairs also prevents heaving. This protects pier and beam foundations as well as concrete slabs. HD Foundations prevents foundation repair problems including wall crevices, ceiling, exterior brick and slab foundation cracks. If your Plano house has structural foundation damage, we can restore it using our effective house leveling techniques. Our company installs and adjusts foundation shims when needed. It’s not uncommon for us to re-shim a structure rather than install new pilings. Wet crawl spaces and squeaky, sagging floors are often a concern with pier and beam houses. HD Foundations performs crawl space repair. We perform evaluations for homeowners at no charge. If you have a residential property in or around Plano, foundation repair estimates can be scheduled free. Request a foundation evaluation online today.